The company [MapQuest], a subsidiary of AOL, plans to announce Friday morning that it is launching a site in the U.K. based on a project called OpenStreetMap, which is dedicated to user-created mapping. The OpenStreetMap project has caught on most quickly in Europe, which is why MapQuest is starting there, but AOL also will devote $1 million to support the growth of open-source mapping in the U.S. The site has a U.K. address http://open.mapquest.co.uk but users can navigate to user-created maps from any country. While we’ve all worked really hard here in the good old USA to improve the maps, clearly there is still a ton of work to get done (especially with building the networks), but $1,000,000 (doesn’t it look bigger when you use those zeros?) should help get this moving. CloudMade tried to fund this through their Ambassador program, but pulled the plug when progress was slow in coming. 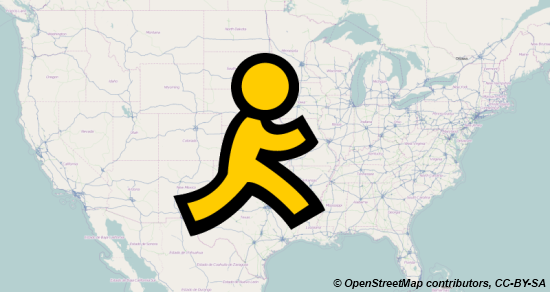 AOL is clearly committed to the program and probably happy to spend their dollars on funding OSM than shipping them off to Navteq (er Nokia) and their competition. How long before Microsoft decides that they are done funding Nokia’s Ovi Maps effort through licensing and joins OSM or moves to Tele Atlas? Now if AOL gave me that million dollars and asked me to figure out how to build out the USA, I’d go ahead and hire the top 10 German OSM contributes and set them loose on America. It would be done in two weeks. Seriously though, the USA map needs a ton of work and the quality of the map compared to Europe is probably the only thing holding back OSM. MapQuest has more details on their blog.